"Happiness is in taste, not in things; You are happy because you have what we like, and not because you have what others find enjoyable. Ancient convent dating back to the 15th century has always been a place of active work in the countryside: vineyards and olive trees were the traditional crops and these have remained today. 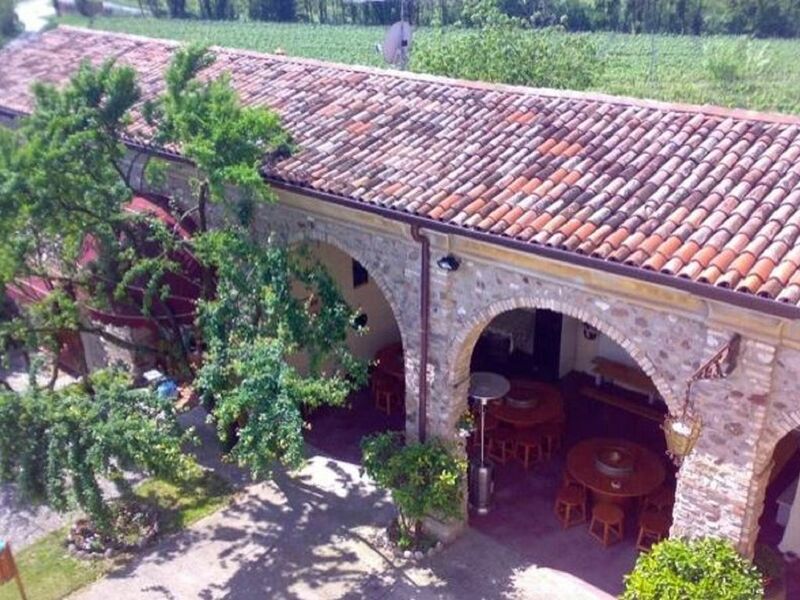 Its twenty hectares all cultivated, relax on the morainic hills overlooking the south-east shore of Lake Garda, in the immediate vicinity of Valeggio sul Mincio, only 5 Km from Peschiera del Garda: in the heart of the Bardolino wine production area White of Custoza. Previously Casa Marzago must have been home to a female convent, from which it draws the feature of closed court, completely enclosed, unusual in the rural courts of Veneto Lombardy. The religious, in the walls, had everything they needed for sustenance: porcilaia, dove, chicken coop, garden (the current garden to the east) with aviary, cattle stall (the current cellar). The outside annex to the court (near the parking lot) was destined to a stable for horses and daisies. The mansion is completely renovated and elegantly furnished with the style and traditions of the Fabiano family that has preserved the typical "country house", and now shares it with those who want to stay in a quiet agritourism in a climate of conviviality . There are 6 comfortable and spacious rooms with bathroom, all equipped with all comforts, two of which have a kitchenette, for a total of 20 beds. Breakfast is served in the large lounge with fireplace or under the porch; A typical tasting cellar welcomes guests for the presentation and tasting of our wines and other products of our production.